Please note that the the Light Parade Committee has decided to cancel the 2018 Light Parade due to the air quality situation due to the current California fire. Please note, the Light Parade Committee has decided to reschedule the 2018 Light Parade to November 17, 2018 due to the air quality situation of the current California fires. 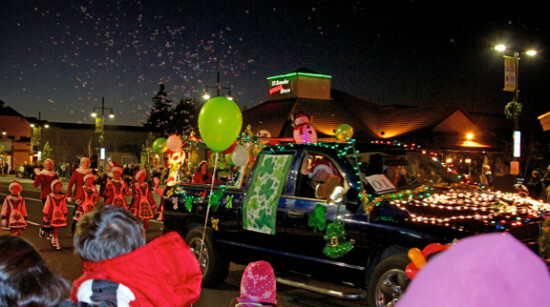 If it walks, dances, drives, and can be decorated with lights, it is eligible to be in the 2018 Castro Valley Light Parade. Stroll in the street for the party and then stick around for the annual electric light parade at 5:30 pm. At 5:30 pm, the eclectic, electric Light Parade begins.